The 12 apostles are regularly photographed, however I went there with the intention of avoiding the common panoramic composition. I wanted something different. I had a shot in mind and this was actually something I thought of as we arrived when I thought the sun wouldn't line up where I needed it for the previously mention shot. Looking to capture very simple and somewhat different photographs to what I usually look for was a step in a different direction. 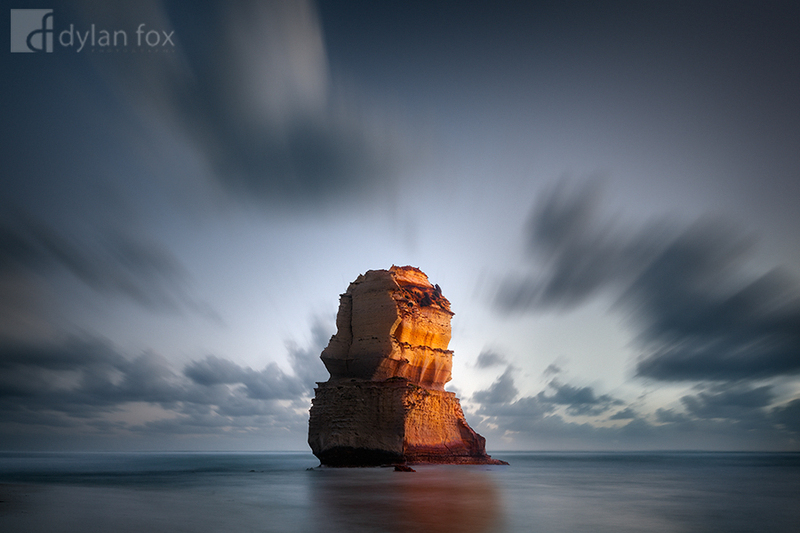 This apostle was photographed as it caught the last light of day. What a spectacular part of Victoria. Secure your limited edition, Twelve Apostles photographic print, 'Test of Time', by selecting your desired print size in the menu to the right.